The Winter Olympics have begun, there’s a lot of controversy over double toilets, spy cameras in the showers, incomplete buildings and even Wild dog(e) murder squads but in the end it’s all about the events and if you want to keep up with the events then Google has your back, with their recent Google Search update bringing a specific Winter Olympics Card for Google Now. There’s an option there – three dots – that will allow you to tell Google Now that you’re not interested in this and you can as usual head into the Google Now settings to turn it off as well. But, if you’re interested there’s some good information here. The Google Now cards that are provided give you the time of events in local time, so you can tune into your local Olympics TV Broadcaster – and hope they’re covering the event. While the actual medal tally and all the rest of the entries just link to a Google Search and disappointingly don’t expand to a card which just delivers the information – how cool would a Medal Tally Google Now card be? 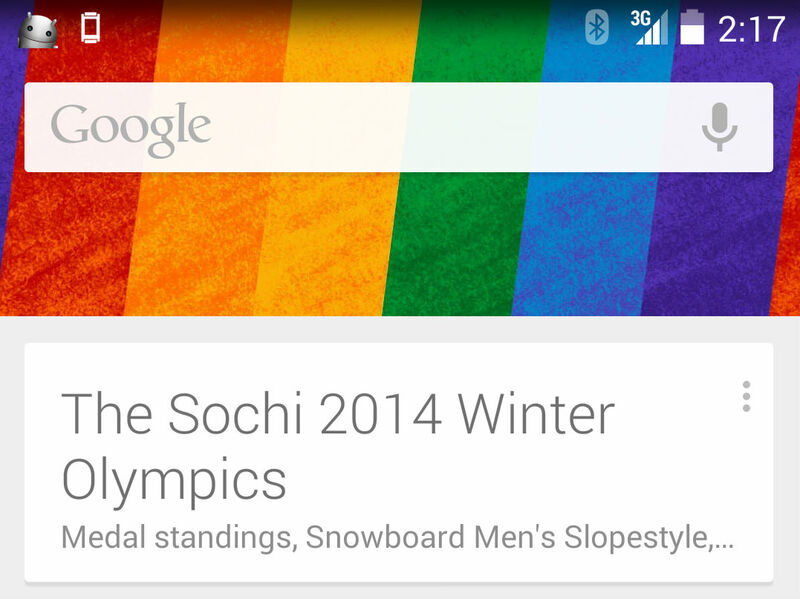 But it seems that Google Now is getting better, especially regarding usability outside of the US. Hopefully by the time the summer Olympics roll around in Rio de Janeiro, Brazil in 2 years time, this will be a ‘thing’. Previous Smashed your Nexus 5? Here’s how to repair it. Next Chromecast availability to expand to the UK in March, Australia soon after? no point !! as channel 10 cant keep a signal going !! !